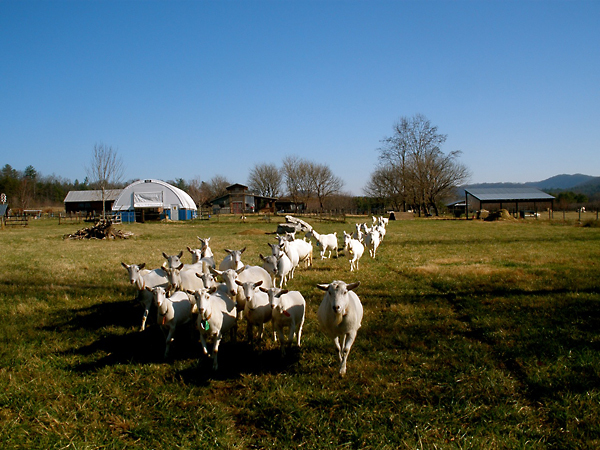 Ripshin Goat Dairy is located in historic Happy Valley on the Yadkin River between Lenoir and Blowing Rock, NC. 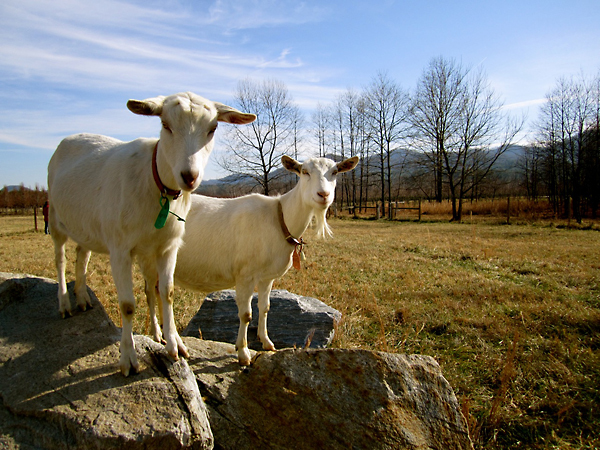 We raise American Saanen dairy goats on natural pasture, woods and forages, using sound ecological practices. This farm has been in our family for six generations. Inspiration for our dairy came from a trip to the historic Carl Sandburg Farm in Flat Rock, NC. Two subsequent trips to goat dairies in France provided more information. This traditional approach is simple and practical, with a focus on the dairy doe. Our contemporary dairy building was designed and built by local architect Jesse Plaster, and houses the milking parlor and cheese room, as well as laundry, lobby and sheltered loafing area for the goats. The dairy makes use of natural daylight and passive ventilation in a regional agricultural form. 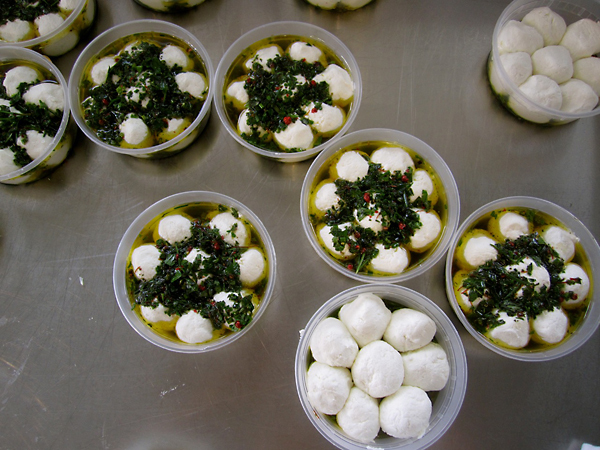 We have retired as cheesemakers, so we do not have cheese to sell. However, those with a serious interest are welcome to visit and meet our goats, learn about their barns, fencing and watering systems, and see our dairy building which is now a mixed-use facility / shared kitchen for use by bakers, pickle-makers and jam and jelly makers. Explore our site to learn more about us. Click on any image on the top right to see more photographs.